aka The Bird Bath. 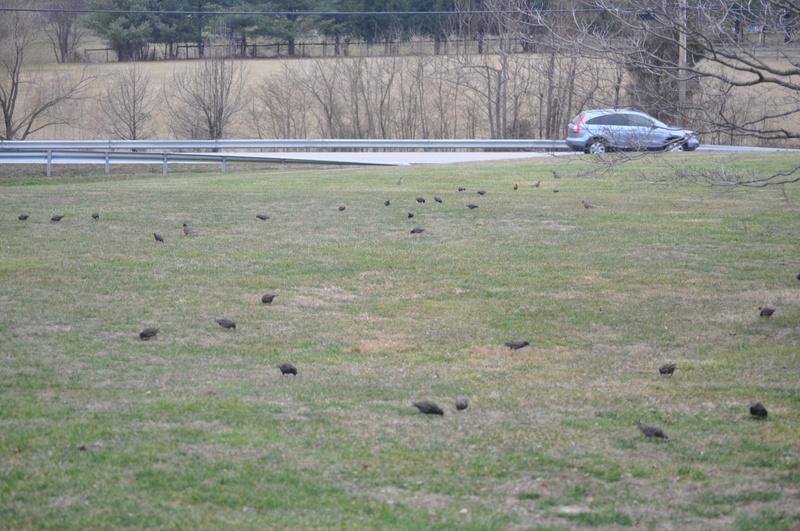 I think that my neighborhood birds are all excited that the Ravens won. 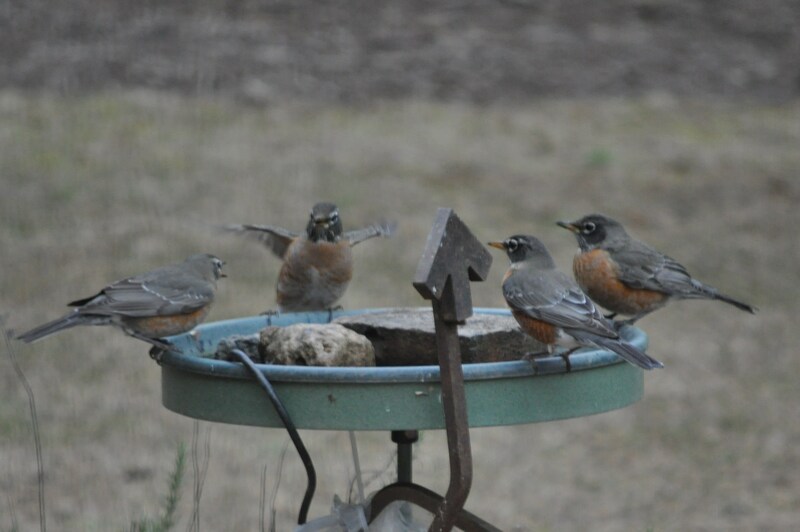 They were gathering in earnest today at the bird bath. 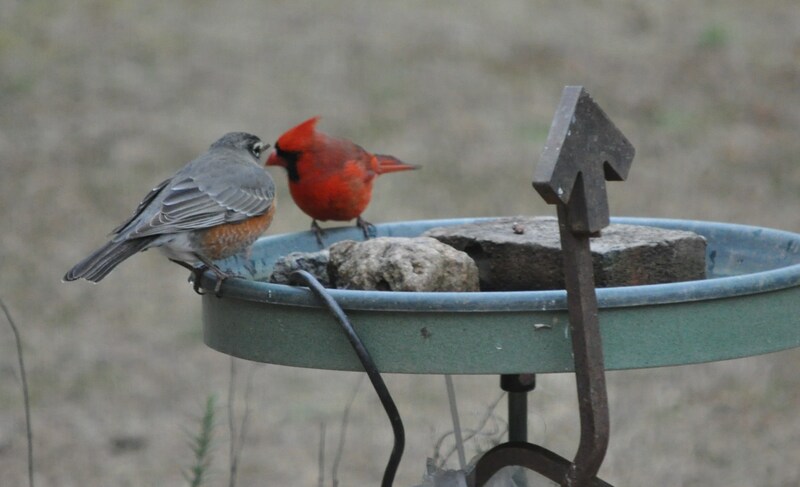 They also decided the buffet in my yard must have been worth the visit. These are just the robins and starlings that descended upon us this morning. And, only a fraction of them. There were more out back and in the meadow. My neighbor’s crab apple trees are the big draw along with my heated bird bath. I think this “discussion” is about why the Cardinals didn’t do so well this year, and what they think of the 49ers. 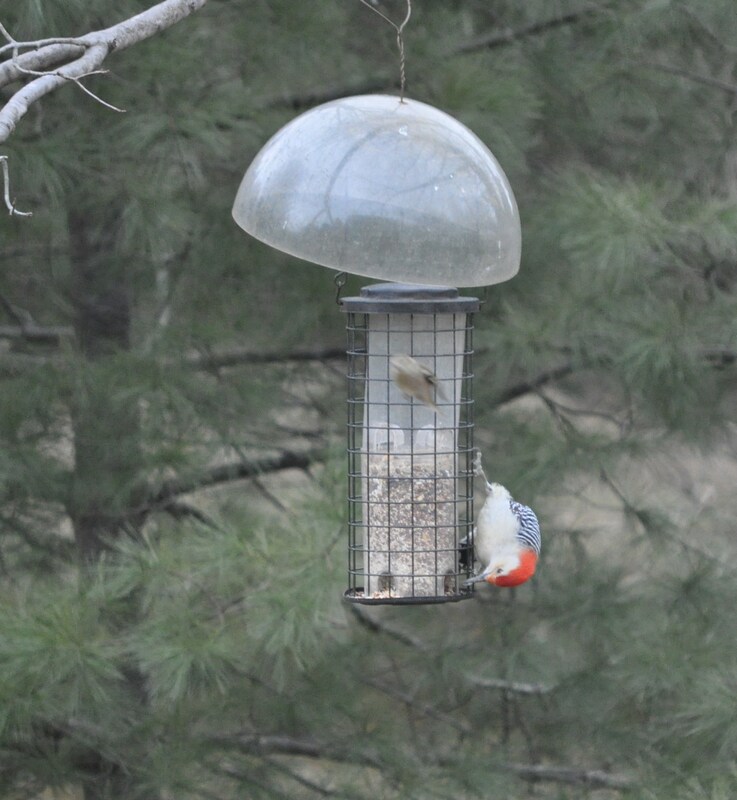 Add to all these new visitors, the red bellied woodpecker decided to chase away the finch from his favorite feeder. But then he got all introspective and went off to contemplate whatever. Just another day in West Howard County. Lunchtime entertainment. Posted in Birds, Commentary, Howard County, Nature, West HoCo and tagged birds, commentary, Howard County, nature, photography, West HoCo. Bookmark the permalink. I love your bird photos! 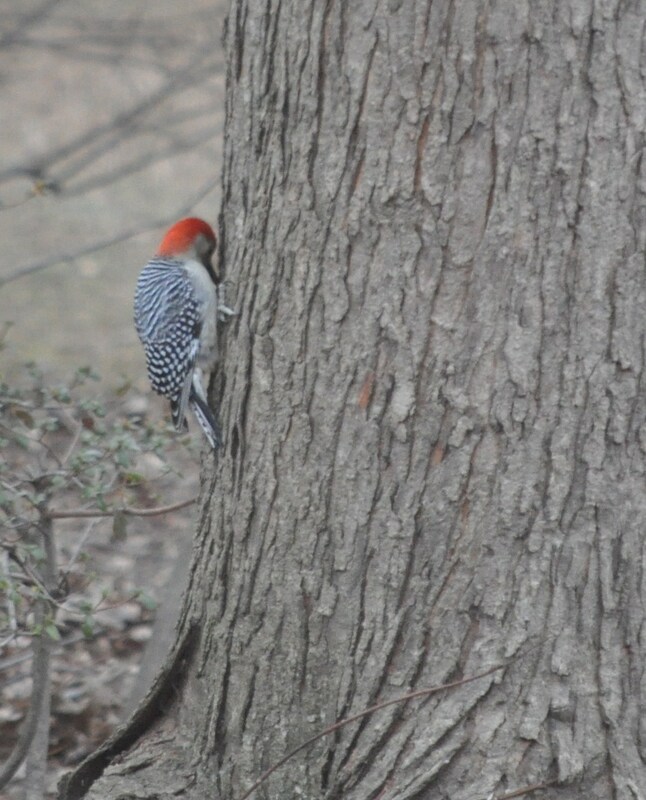 I have recently discovered the same woodpecker in my yard. Cute little fella. Great pictures! I think they’re excited too, and planning their Super Bowl party. Hope you stay warm today!